Last week we shared AnatoliaLit’s’s first-hand report about the protests happening in Turkey. Now we’d like to share this brief update. Dilek and I were in Taksim, near the park from about 8pm until 10m. I posted a bit about it on my Facebook page. The pepper and tear gas they are using now is definitely different from what they were using on May 31st. They burn much worse. The police is attacking the park itself now. People are marching towards the park from various parts of the city. The Turkish media is reporting on developments but still toeing the party line. Police are also attacking protestors in Ankara right now. There’s an amazing energy amongst the people, they remain undeterred despite the violence they are being subjected to. Here’s something a feminist friend of mine posted just nine minutes ago on Facebook. 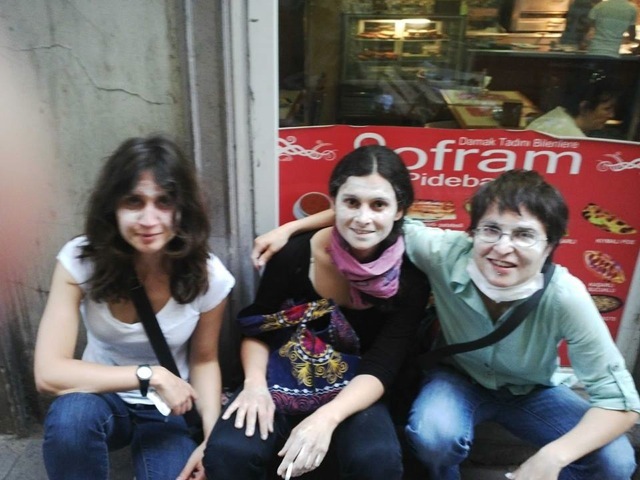 I have been in Taksim since noon today – we have been gassed numerous times! two worst gas attacks came just as people had gathered for a press conference. around 8pm, tens of thousands of (probably several hundred thousand) people were in the square and in the park — at least 30 gas bombs were sent our way. If we have not been killed today, it is because of the great solidarity among people and the common sense of a great many people, who calmed people down and carried the ones who had dropped on the ground because of the gas. There was a shared sense that we would all die! another reason many people are alive and recovering is because there are dozens of doctors and nurses who have been giving emergency care to several hundred people who have been injured – some severely! I am now in a safe place near the square, but am worried for all the people in and around the park. Most of them young people, who have little or no political experience, and are there to stand by the trees, the park, and their fellow citizens… and their sense of freedom, justice and humanity!